In all the years I’ve covered Paris, the question I’ve been asked more predictably than any other is “When do you recommend I go?” Again and again, I’ve disappointed those hoping for me to neatly solve their dilemma, sparing them from the agony of choice and the possibility that they’ll regret making it. Booking Your Trip: Ready to Make a Move? The truth is, I think that sort of mythology has a sneaky and perverse way of keeping you from fully immersing in where you are. It keeps you behind a screen of cliches and preconceptions, and inhibits the sort of open, receptive state that makes travel a transformative experience. 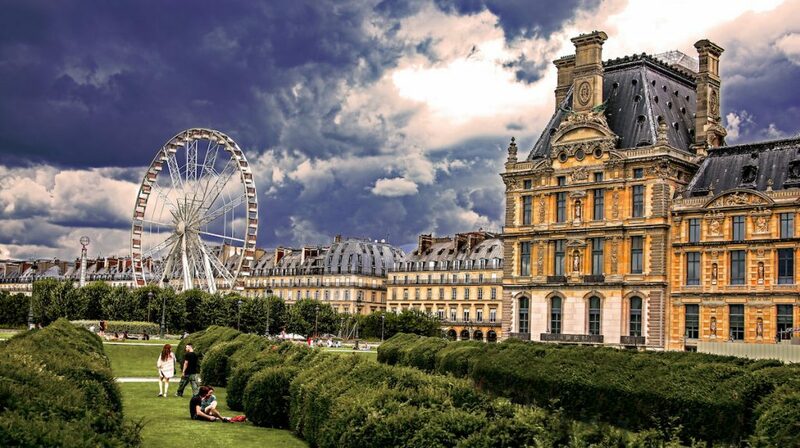 How can you possibly enjoy Paris, or allow it to surprise you, if you’re hauling around a set of rigid expectations about what the city should be or look like, based primarily on shiny technicolor (or post-technicolor) Hollywood fantasies? (Digression: If I had to choose between Woody Allen’s “Midnight in Paris”, “An American in Paris”, Pixar’s “Ratatouille”and the oh-so-cringeworthy “French Kiss”, I’d say that the animated film featuring a chef rat offers the most realistic depictions of the city). Of course, there’s nothing wrong with carefully exploring your options and taking in some general information about seasonal events, what clothes to pack for a given month, etc. 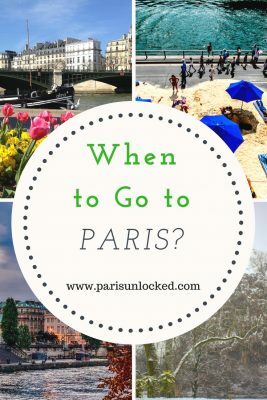 (You can check out my full monthly guides to Paris with packing and weather advice here). But at the end of the day– at least in my humble perspective–the process of deciding to go will be far more enjoyable if you remain at least somewhat open to the possibility that any time of year could turn out to be marvellous. Just not in the exact ways you might expect. Since budget matters will comes into play in any decision you end up making– high season is much pricier than low season, after all– I especially want to encourage those who can’t make it in the spring or summer not to fret. 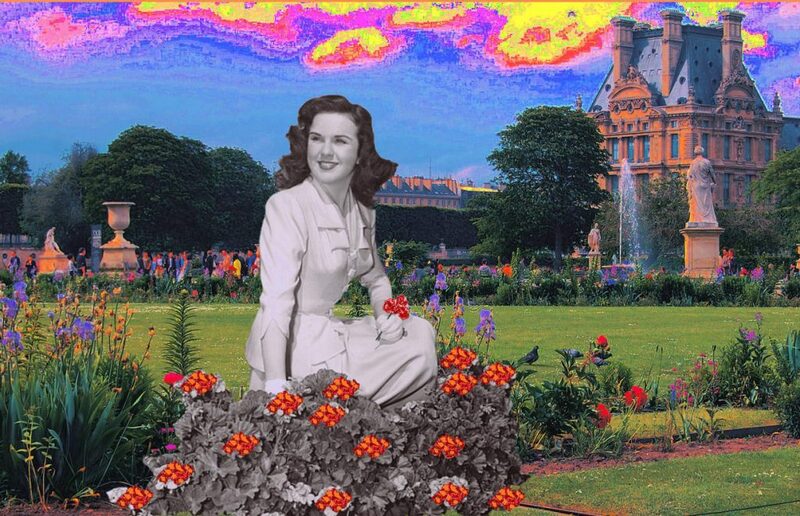 When you’re game to appreciate the particular beauty and advantages of whatever season you can manage, and refrain from lamenting a “Paris in the spring” whose reality is probably underwhelming when compared to the fantasy, something changes. A door opens to experiencing the city in an unfettered way. Magic becomes possible, but it’s a daily sort of magic, not a Disney version. Nevertheless, in the interest of sating your immediate need to get an overview of what each season might have in store, I present you with some thoughts on what makes each season in the capital uniquely charming (and, frequently, aggravating). 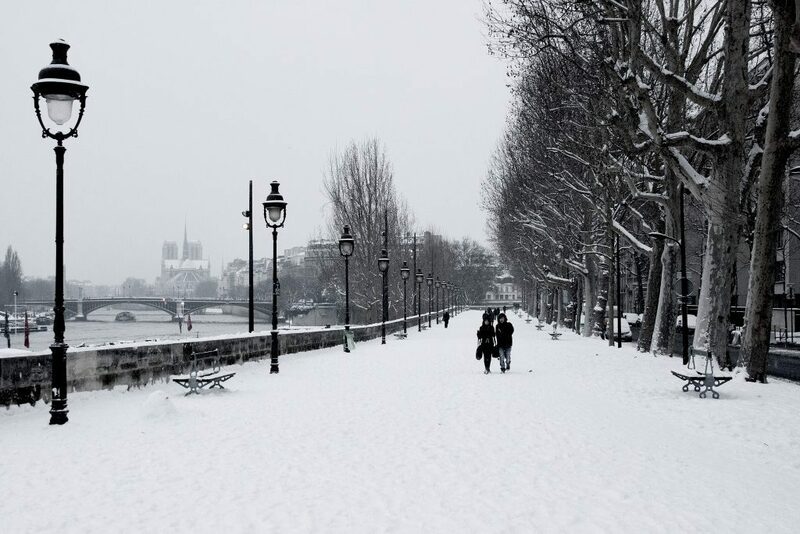 As I detail at length in this piece on my 6 favorite wintery haunts in Paris, I have no trouble enjoying the capital in its end-of-year mode. Some will complain of the frequent wet and a cast-iron sky so stubborn it almost seems as if someone’s holding a metal pan over the air to cruelly obstruct the light– but there is occasional sun, and these days, even some warmth (erm, hooray for climate change??) It’s admittedly best to avoid if your idea of a winter getaway is a solid reprieve from the cold, or swirling paper umbrellas in a sticky rum cocktail while sprawled on a chaise longue. But then, you knew that already. Ok, it admittedly doesn’t snow very often in Paris. But look– purdy! Image: Flavio Ensiki/Some rights reserved under the Creative Commons 2.0 license. So what makes a winter trip worthwhile, and keeps it out of the realm of the miserable? For me, it’s the relative quiet. Maybe this is an all-too-predictable trait among us writers, but there’s something about being able to roam the streets without having to fight your way through large crowds, contend with full, BO-reeking metro cars, or fight for tables at restaurants or tickets at shows. It makes me look forward to the winter. When you’re curious to see what the city’s like when it’s not trying so hard to convince tourists that it lives up to their fantasies, winter offers a glimpse of that. Of course, there’s plenty of (fun) hoopla around Christmas and the New Year, and it’s worth taking part in if you enjoy it. Like most people do, I, too have a certain weakness for Galeries Lafayette all decked out for the holidays, and the warm glow of lights filling the bare trees around Place Vendome. But otherwise, to rip off Depeche Mode, enjoy the silence. In addition to the things I mention at length in the aforementioned piece, I recommend organizing much of your trip around indoor events and attractions. It can admittedly be mucky, icy and unpleasant out starting in mid-November, and while you’ll hopefully seize on a clear day or two to explore the city, there’s plenty to do indoors. Duck into a cinema or any cafe that strikes your eye, and looks like a cozy refuge from the cold where you might collect your thoughts, read for a couple of hours, or chat away with your travel companion. 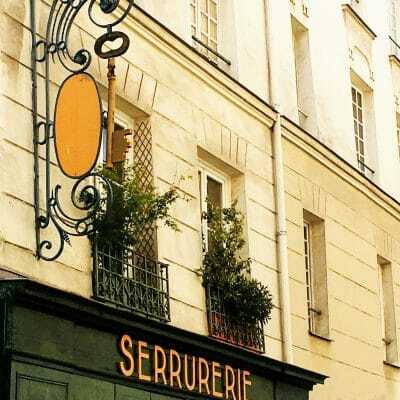 Exhibits, Shows and Museums: Time Out Paris and Paris Art Selection are both good sources for finding shows and exhibits currently on around town. Permanent collections at the city’s many free museums are a budget-appeasing way to keep busy. Cathedrals and Churches: Bring a coat and scarf in case it’s cold, but visiting these centuries-old places of worship, pilgrimage and archaeological treasures is well worth your time. 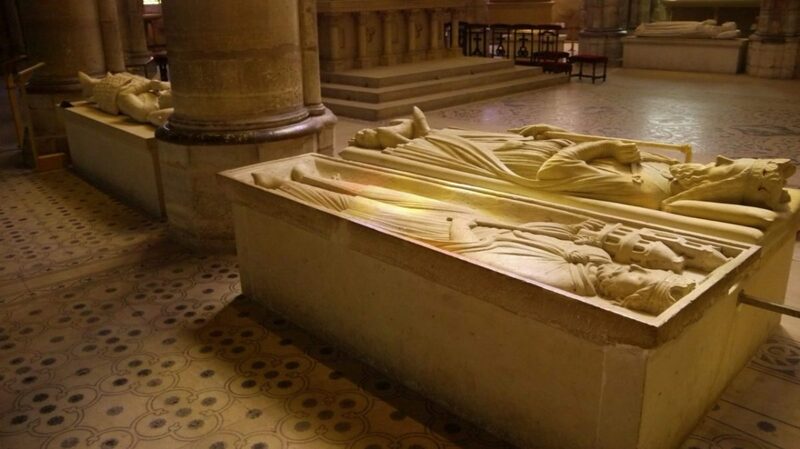 From Notre-Dame Cathedral, to the Sainte-Chapelle (a place that never fails to leave me with mouth hanging open), to the St-Denis Basilica just north of Paris– home to 40 recumbent effigies of kings and queens– these places transport you back into medieval Paris. It’s the only sort of time travel currently available, as far as I know . For still more info on visiting en hiver, see my full guides to December in Paris, Paris in January and Paris in February. Having grown up in California, I never appreciated the full drama of spring until transplanting to Europe after college. While I suffer from a mild pollen allergy (sigh), there’s still something of the cathartic and joyful about that first spring walk of the year: exploding rows of tulips and chrysanthemums, gentle breezes, and the season’s inaugural picnic among friends easily come to mind. However, don’t expect everything to feel idyllic: as alluded to earlier, once high season hits in April, the city is swarmed by tourists and can feel maddeningly claustrophobic. Hotels hike up their rates. Taxis are hard to find. Locals are sometimes more impatient or irritable as they attempt to navigate their commutes amid armies of visitors blocking their paths and stealing their metro seats. Don’t get me wrong. Springtime in Paris can be as fresh and inspiring as daisies gently waving in the sun, and in select moments it (almost) lives up to some of the cinematic fantasies. Not to belabor my point, but I’d still advise that you try to keep your expectations in check. 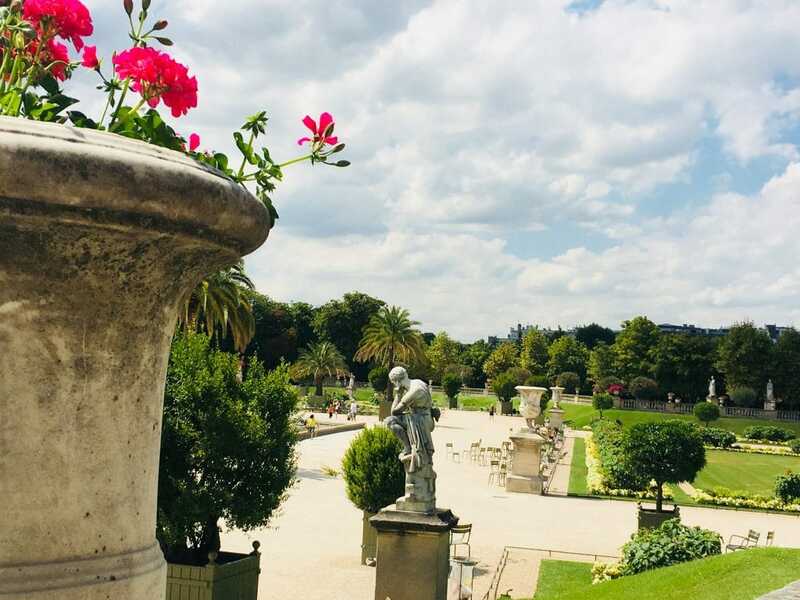 Spending some time frolicking or picnicking in a park or garden is one obvious spring pastime, but one that can’t be overlooked: some of my favorites include the Jardin des Plantes, the Parc de la Villette and its odd, educational thematic gardens, the Place des Vosges and the Jardin du Luxembourg. As I’ve had to warn friends and family many times, the lawns at many parks and formal gardens in the city are off-limits: look for signs saying “pelouse en repos” (rather preposterously, “the lawn is resting”.) Look for crowds of fellow picnic-goers to find out where you can sit. See my full guide to enjoying authentic and relaxed picnics in Paris for plenty of tips and inspiration on where to spread out your blanket. 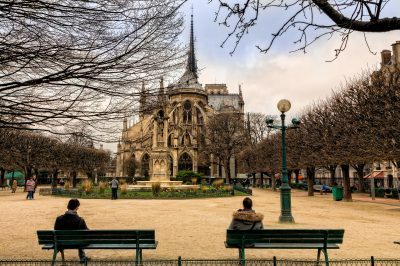 Because the city gets so overcrowded as it moves into peak tourist season, getting out of Paris for a short day trip can feel essential. A short train ride gets you to the Chateau de Versailles, the even more gorgeous but lesser-known Chateau Vaux-le-Vicompte, and to places like Provins, a UNESCO World Heritage Site with preserved medieval fortifications, a dramatic tower complete with dungeons, and a cute town center. During the spring, nerdy but delightful medieval festivals take over the town with re-enactments and silly jousting acts; while local rose growers come to peddle a variety of rose-related products, from soap to rose-infused honey and jam. Jazz Festivals: Spring also marks the beginning of jazz festival season, which carries on through much of the summer. Two festivals of note for true aficionados: the Banlieue Bleues Festival , which assembles dozens of artists and groups, from the acclaimed to the up-and-coming, in Paris’ northern suburbs for what are routinely hailed as some of the best jazz performances of the season. That festival usually begins sometime in March and extends into early summer. 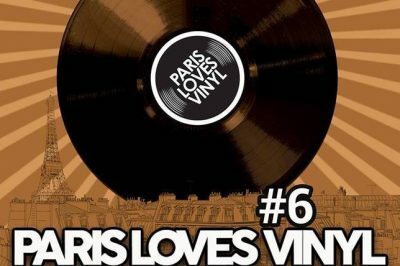 Meanwhile, in central Paris, the St-Germain-des-Prés Jazz Festival generally has some pretty solid acts lined up, and usually kicks off in May. 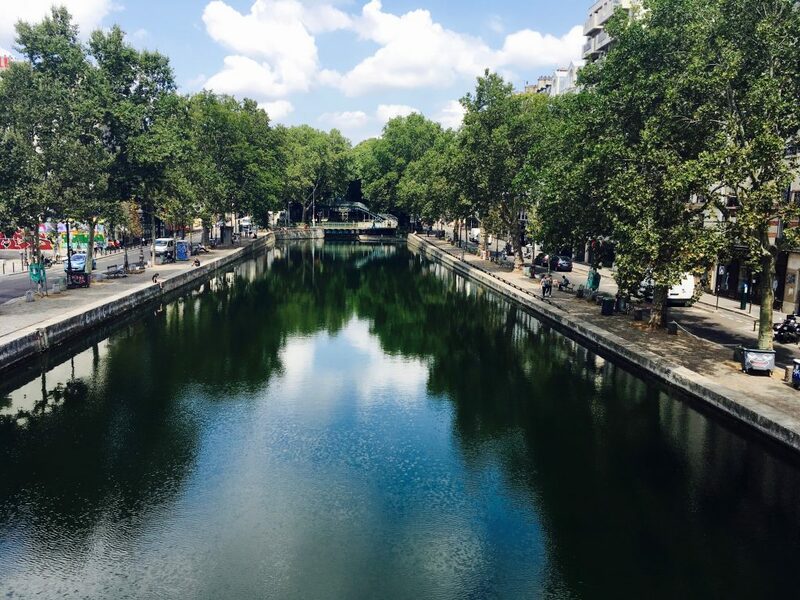 The thing that strikes most visitors about summer in the French capital? 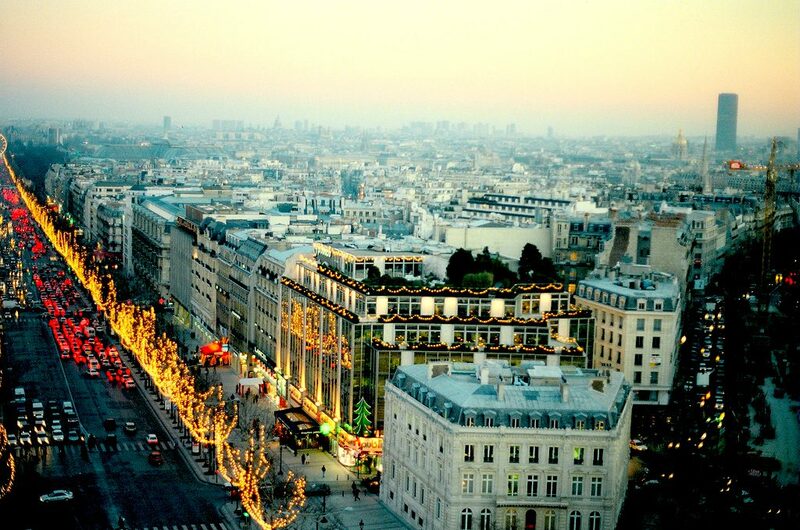 It’s how…un-Parisian it feels. This isn’t an unfounded observation: those locals lucky enough to afford it flee the urban grind en masse for summer vacations elsewhere, leaving massive space for the tourist industry to take over, and the tourists themselves, of course. The upside is that those locals who do remain tend to work in the tourism industry, and they often go out of their way to make your experience a good one. The downside? If you want to have a sense of what local life is like, summer doesn’t provide a particularly realistic picture of that. 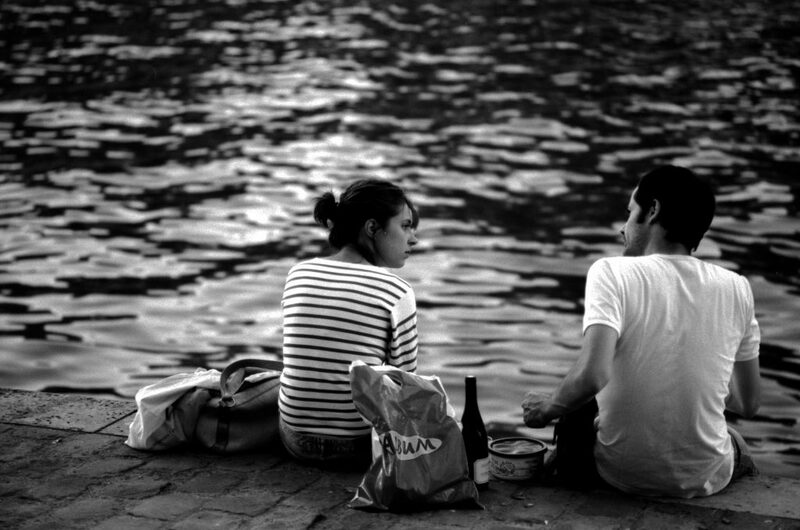 Riverside picnics and long nights: some of the charms of summer in the French capital. Image: Nicolas Vigier/Some rights reserved under the Creative Commons 2.0 license. From a budgetary standpoint, summer offers a decidedly mixed bag, not unlike delicious bags of candy with the random bitter liquorice drops that only your grandparents enjoy. Airfares and hotel prices peak, which obviously puts a strain on affordability. 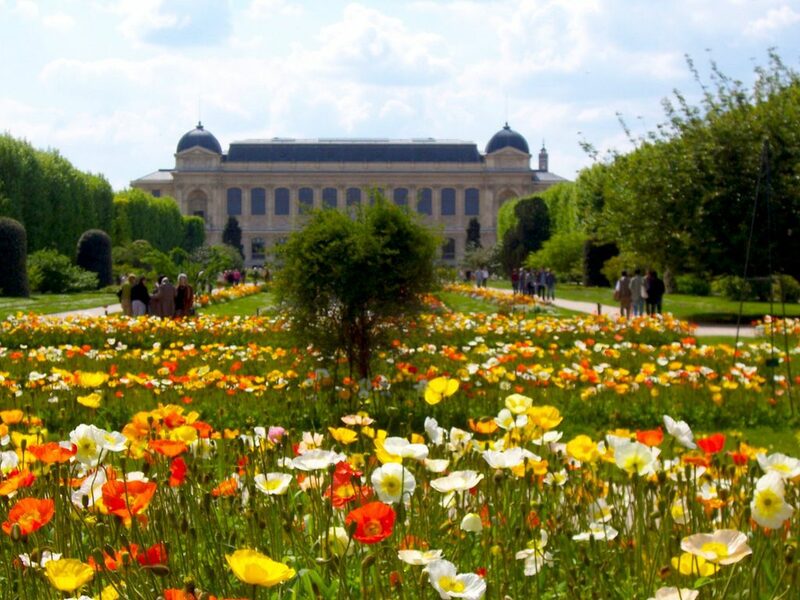 On the other hand, there are simply tons of free and/or cheap things to do in the summer, from music festivals such as jazz at the Parc Floral and open-air cinema in the park (read below for details). 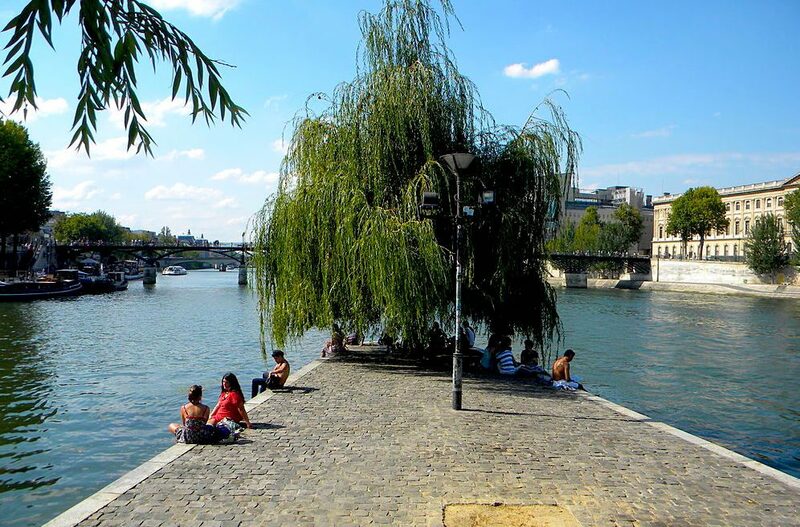 Not to mention that you can spend more time outside, eating street food while you walk or indulging in picnics on the Seine (beer and wine are de-facto permitted, as long as you refrain from obnoxious displays of public drunkenness). Take advantage of the long days in summer, and wander around the city aimlessly, using the extended daylight to get to know the city better and discover corners you can call your own. In addition to picnics, I recommend indulging in some good street food (falafel is my obvious but inarguable favorite) and gelato. Day trips remain an excellent choice. You might even get away with a day-long excursion to the dramatic medieval abbey at Mont St-Michel or one or two of the Loire Valley castles, but I generally recommend at least an overnight stay. 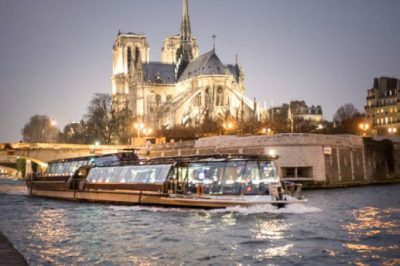 A boat tour or Paris river cruise can give you some reprieve from the heat, not to mention ease your tired feet. 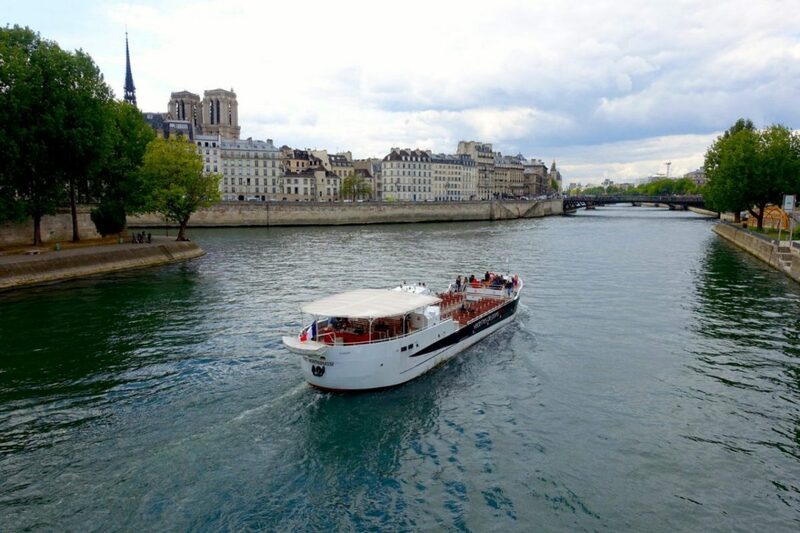 And the Seine isn’t the only waterway you can cruise: the Canal St Martin and the Marne River are also possibilities. Open-air cinema is a local staple, and one of my favorite things to do in the summer. 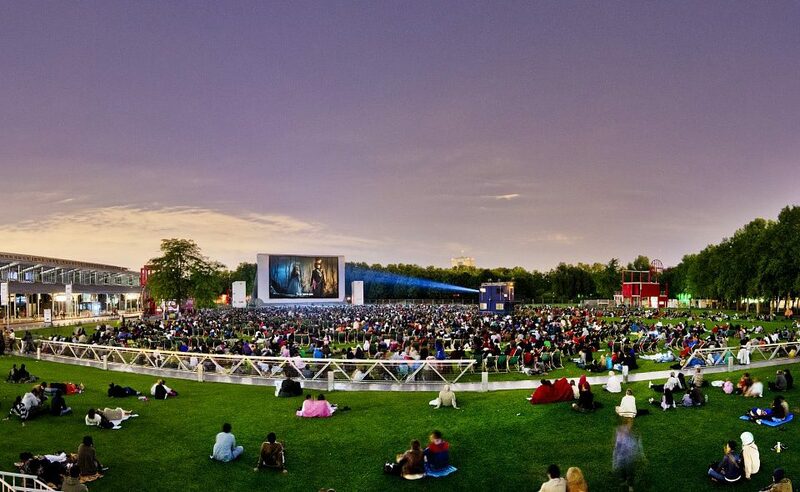 The Parc de la Villette way, way up at the city’s northeastern tip, screens dozens of free movies in the open air every year; the program balances fun blockbusters with arthouse classics. Bring a blanket, some grapes and cheese, and a bit of wine, et profitez bien (and enjoy). I’m a sucker for the autumn. Even though Halloween is only tepidly celebrated in France (something I lament year in and out), this is the season that always feels like the *real* new year in Paris. People pour back into town following the summer lag, bakeries re-open (thank god), galleries curate the first exhibits of the new season, and a fresh jolt of energy and creative drive seems to hang on the air. October is especially nice; November can sometimes prove a bit grim. Still, once low season kicks in, prices can be very affordable, making autumn an attractive option for lower budgets. An autumnal sunset sweeps over the city. Image: Dirk Haun/Some rights reserved under the Creative Commons license. In case you haven’t yet gathered, walking around Paris is my version of the good life (even though it may seem more than a bit cliche ). Autumnal strolls never fail to get at my melancholy bone and tickle it in all the right ways. Some of my favorite places: the Jardin du Luxembourg and its long lanes of deciduous trees; the Village St. Blaise, a district in the northeast that’s woefully neglected and still resembles a separate little town; and the Bois de Vincennes, the vast park to the east of Paris. 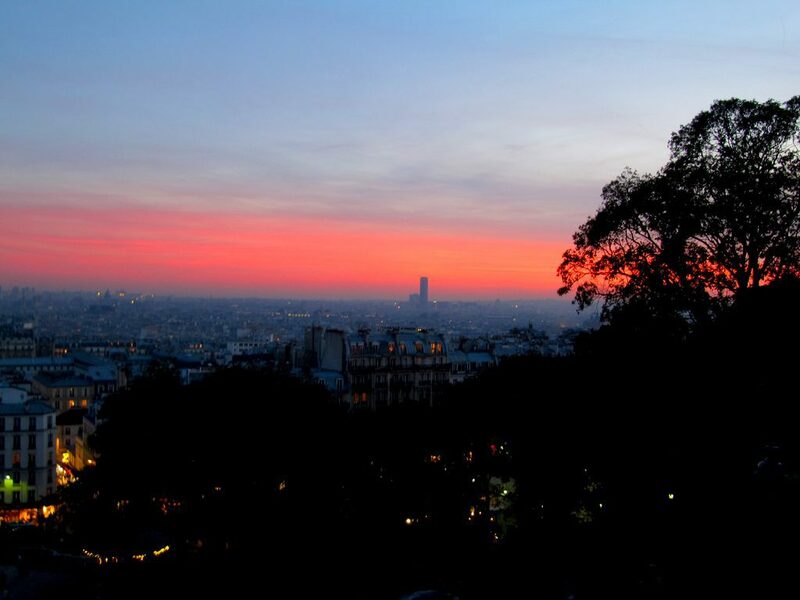 Wine season: Here’s one reason to enjoy autumn in Paris: wine season. Bars around town serve Beaujolais nouveau, a young, hit-and-miss wine, from oak barrels; part of the fun is finding out of this year’s vintage passes muster or not. 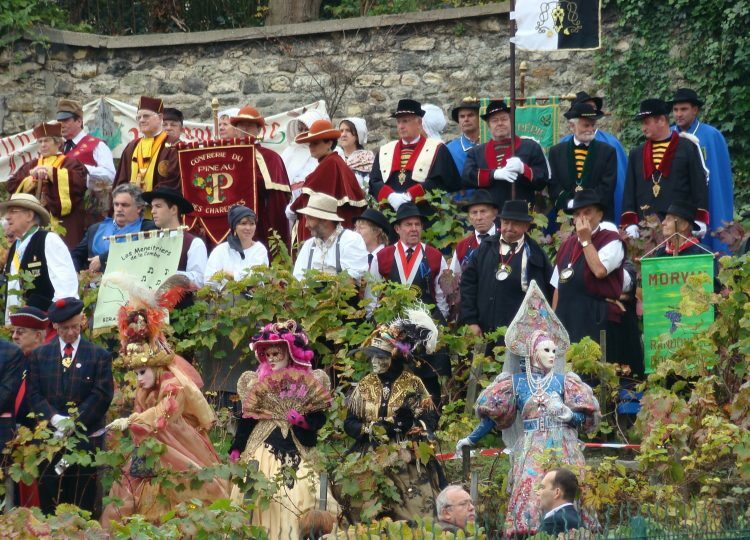 Meanwhile, the Vendanges de Montmartre is an annual bacchanalia held in and around Paris’ only remaining vineyard, on the ruins of what was once a medieval abbey where the monks cultivated vines. Finally, shows and exhibits are at full hilt during the fall. Get a sense of what’s on around town here and here, and book skip-the-line tickets for in-demand museums and shows (via Tiqets.com). Looking for still more autumnal stimulation in the capital? 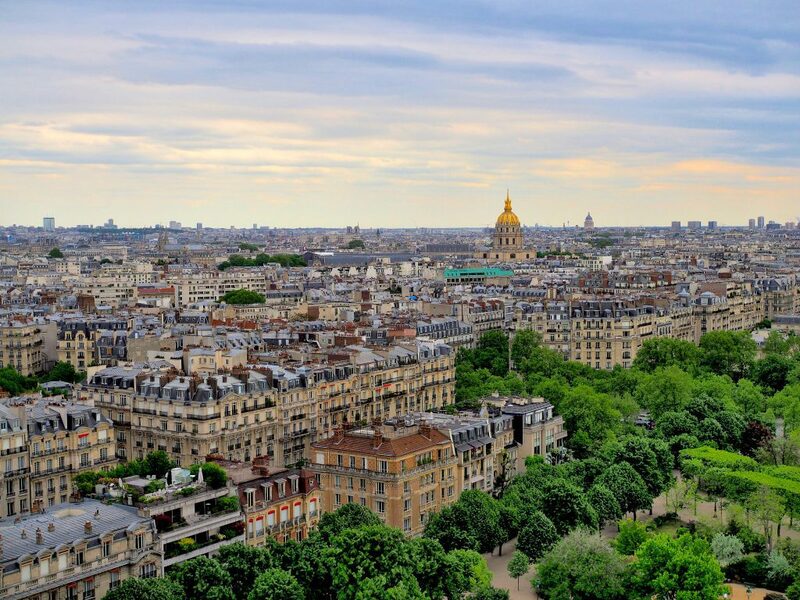 See this helpful and inspired guide from Everyday Parisian. T.S. Eliot famously captured the dangers (or simple discomfort) of indecision in his poem “The Love Song of J. Alfred Prufrock: “In a minute there is time. For decisions and revisions which a minute will reverse”. It’s best to avoid this sort of dithering and just make a choice, any choice. However, there are a few things I heartily recommend you do before you click “book”. First, do a respectable amount of research. 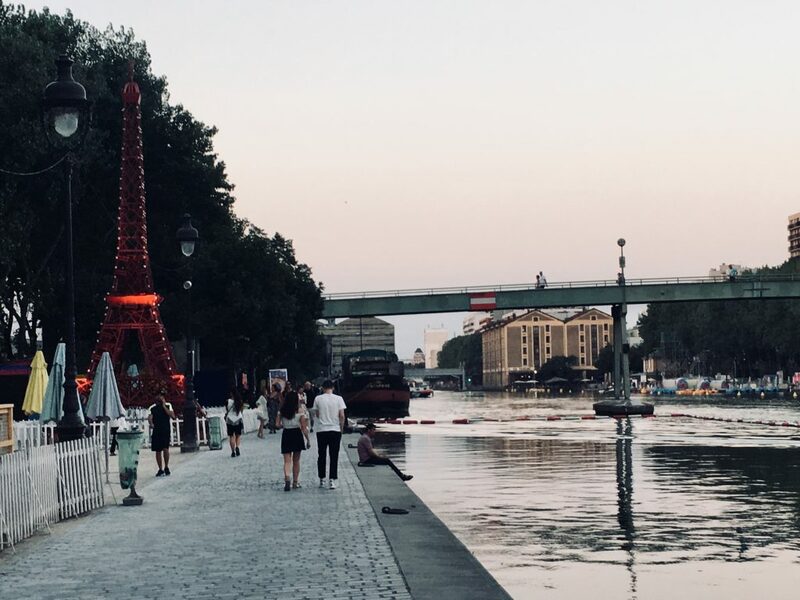 In addition to reading this article from yours truly, surf around and find sites with reviews from travelers you suspect might share some of your priorities, tastes and/or interests, and see what they have to say about their Parisian sojourn in a season or month you’re considering. What did they see as the downsides and the memorable points? What events do they recommend? TripAdvisor can be a good bet: this forum discussion thread might be a start. Also make sure to mine the collective hive mind on Facebook or Twitter and ask any friends and family who’ve been to give you their take, offering specifics about what they enjoyed, or hated, about Paris in a particular season. Let their advice guide you, but not dictate your final decision (some of my most enjoyable trips have come from following a whim or doing something simply because it pulled me). Finally, the vibe is by nature purely promotional and unlikely to offer any downsides, but this page from the Paris Tourist Office offers a good overview of major events in every season, and some helpful suggestions for what to see and do. I also like The Culture Trip these days. Get a good guidebook or app– but don’t take it too literally or follow it to the letter. The better apps and guidebooks out there are navigational and prospective: they help you orient yourself and give you a sense of just how wide your choices are, but don’t over-prescribe or get too caught up in “must-do” listicles. You’re nearly guaranteed to have a boring trip if you cleave too literally to canned top-10 lists. Even when I write them, they’re meant to inspire, not to prescribe in stone. Consider booking a good guided tour to get oriented and explore your options. I particularly recommend the friendly, in-depth tours from The Paris Guy, led by experienced and knowledgeable docents. From cultural adventures to food tours, there’s a full variety of themes to choose from. Browse their tours here, and make sure to enter the promocode “PARISUNLOCKED” when you check out to get 5% off the listed price of the tour. 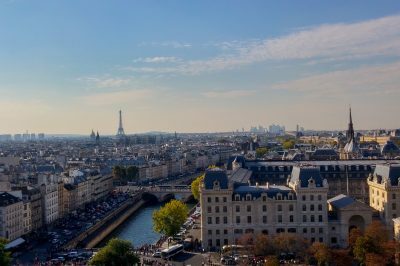 Girl’s Guide to Paris also offers excellent tours, particularly suited to women visiting solo or in small groups. Take a look at their current tours, and if you decide to book, mention Paris Unlocked to receive a special gift along with your excursion. Next, spend some time getting a sense of price fluctuations year-round on flights and hotels. I recommend Skyscanner: you can do complex searches with multiple dates and flight routes, and sign up for handy price alerts. And remember, as I detail above, there’s really no perfect time of year to visit. If all you can afford is November or February because it’s low season, I wouldn’t rule out your trip just because you can’t manage to go at the so-called “ideal” time. It’s Paris. The things you remember the most from your trip are likely to be the things that surprise you around corners and make you catch your breath out of awe, but completely unexpectedly. Over-planning and too-detailed expectations are the killer of joy, when it comes to travel. At least in my book. Finally, if you’re able to travel by train and don’t mind taking a bit more time to get there, you can book tickets and a whole gaggle of discount rail passes here (via Rail Europe). In any season, taking in the changing landscapes– not to mention the romantic appeal of being dropped off directly in Paris’ dingy old Gare du Nord rather than the (far more hellish) airport– is a good option, at least in my book. 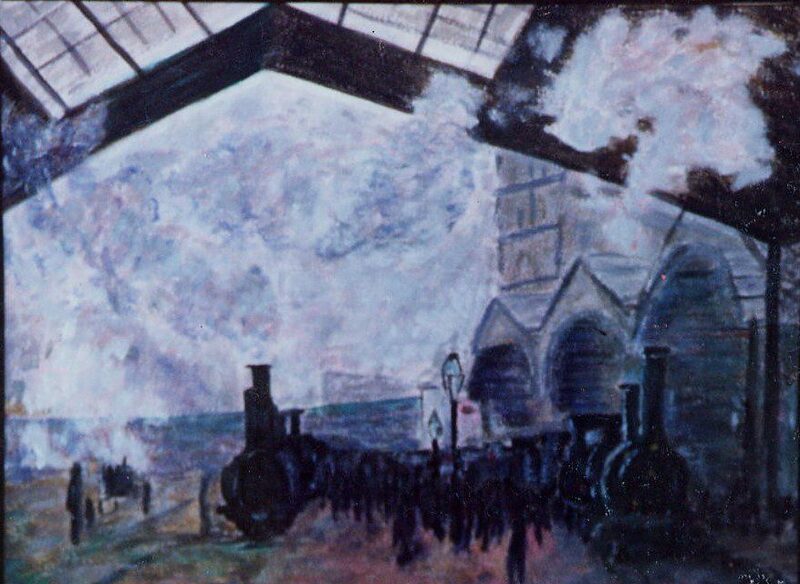 Claude Monet, “Le Gare du Nord”. Public domain. Like this? Please share & pin– and make sure to subscribe to my newsletter. *Disclaimer: This post contains some affiliate links. If you book products or services through them, you will help fund more free & in-depth content here at Paris Unlocked– at no cost to you. Thank you. After reading your blog post I can definitely agree with the statement that “Paris is always a good idea”. 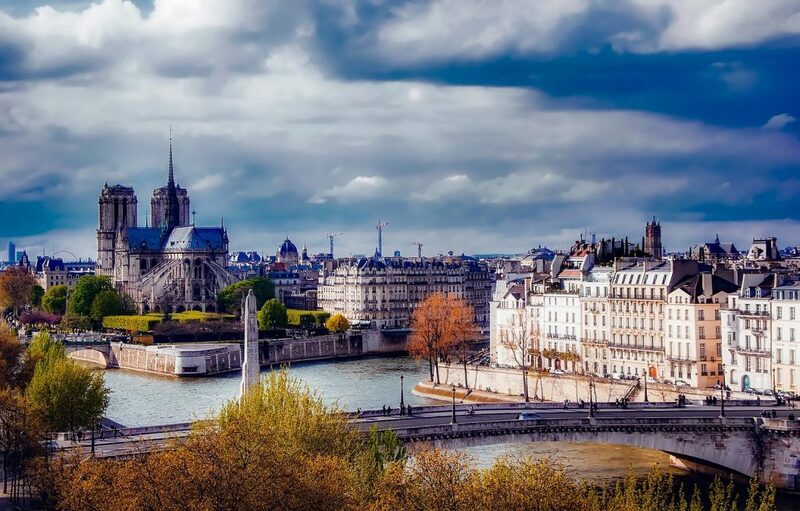 I haven’t been to Paris in autumn and winter… Wine is a good enough reason to plan an autumn time visit- I hadnt thought about that thanks for sharing!! I really liked the idea of enjoying a place in any season. So true. Each season has its own beauty and good things to enjoy. Great read!